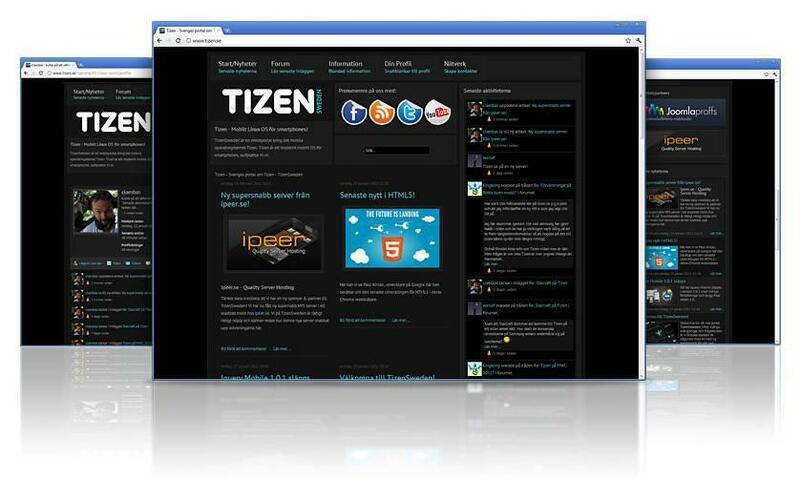 Tizen.se is a principle portal in Samsung’s mobile operative system Tizen. Followed by Maemo and MeeGo, Tizen is the third attempt to develop a fully Linux and open source code for our mobile telephones. Tizen.se would like us to be a hub for developers and users of the Tizen platform and we believe we can offer them the tools needed to create this in Sweden by using the flexible Joomla platform. Tizen.se is not a part of the official Tizen but is instead entirely managed by private people. The site is built on the latest LTS (Long-Term Support) version of Joomla. This version of Joomla will receive security updates and bug fixes for an extended time into the future. For this project we installed JFBConnect, Jomsocial, Kunena, K2, MaxiMenu, Xmap, AdminTools, Akeeba Backup, JCE text editor and WidgetKit as well as other components. Tizen.se uses the well-made forum component Kunena 2.0 which is also integrated with Jomsocial to be able to have a complete community.